We are proud to host not one, but TWO very awesome trainers at Whiskers N’ Tails! 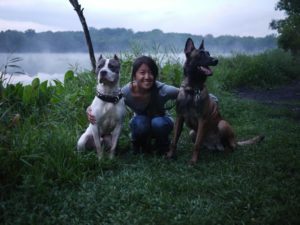 Our very own, Karin Chan, CCFT, FP-MT, CDT has been a professional dog trainer since 2010. 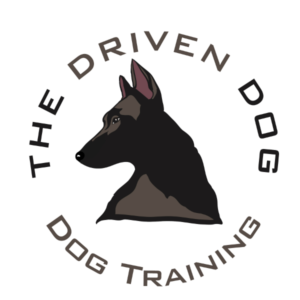 The Driven Dog, dog training provides private lessons, specialized classes and board and train programs in your home, and out of Whiskers N’ Tails. 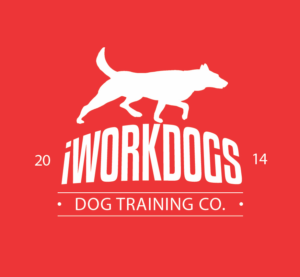 For group classes, come meet David Wright, FP-MT and professional dog trainer since 2013. 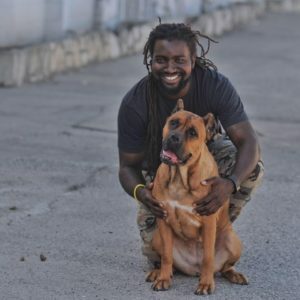 Check out his innovate and affordable training program, LEVELS Group Class, hosted right here at Whiskers N’ Tails! And introducing our favorite new addition, Chewy’s Dog Gym, exclusive to Whiskers N’ Tails! This is a co-trained program with both Karin and David, focused on fitness, conditioning, and overall health of your dog. 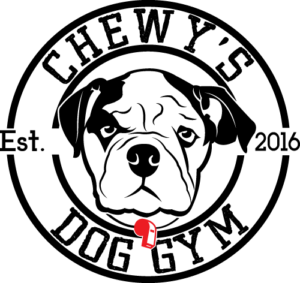 Check out this event calendar to stay updated on Open Gym Nights, and classes & seminars! 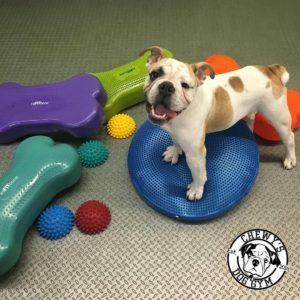 Chewy’s Dog Gym is aimed at active dogs, sport dogs, weekend warriors, the casual athlete, and even couch potatoes that want to get into better shape! Canine conditioning not only helps to prevent injury, strengthen your dog and improve flexibility, it also helps build confidence and energy and is a super fun way to get in extra training and mental stimulation for your dog!